The mortgage guarantor — which along with its larger counterpart Fannie Mae was rescued in a $187.5 billion taxpayer bailout in 2008 — is boosting its multifamily lending as their regulator eases restrictions on that part of their business. Cheap debt from the U.S.-backed companies is helping sustain a five-year surge in values for apartment buildings and fueling some of the biggest real estate deals since the financial crisis. 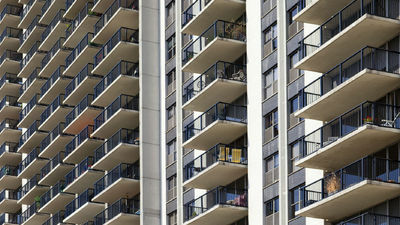 Lone Star, based in Dallas and founded by billionaire John Grayken, said in June that the acquisition of Home Properties — with 121 communities, primarily along the East Coast — was consistent with its strategy of buying second-tier apartment complexes, such as workforce housing, rather than expensive newly built properties.